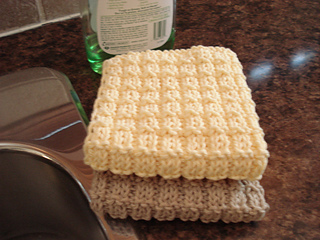 A waffle stitch pattern is used for this dishcloth. 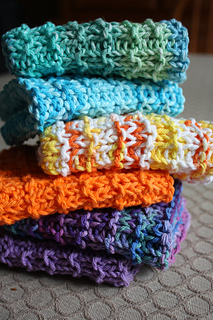 It has great scrubbing ability with its garter stitch ridges. 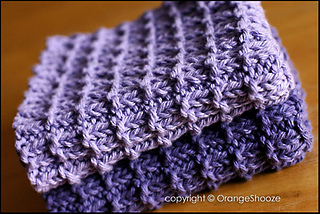 Each side has a unique pattern so it looks good from any angle. 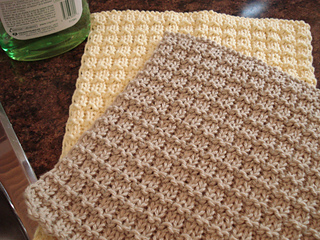 By slipping the first stitch of every row and purling the last stitch, the 2 side edges maintain an attractive appearance and the dishcloth lays flat and square without the need for a border.